Last weekend, we partnered with Quantcast to host a golf outing and reception benefiting the Destinations International Foundation. The event was hosted on the beautiful island of Bermuda and was a fun-filled day of golf, local cuisine, travel industry networking and stunning views of the Atlantic Ocean. A total of $5,580 was raised for the foundation. The foundation is expanding its investment in you to ensure that you are supported with knowledge and powerful tools, so you can continue driving growth, creating jobs and building futures. Together, we can set the stage for connections that will impact the quality of life in destinations on a global scale. With every dollar raised, the foundation tackles the issues we all face on a daily basis and helps ensure the continued growth of destinations worldwide. Join us as we come together to invest in our industry and demonstrate the value of our collective efforts. 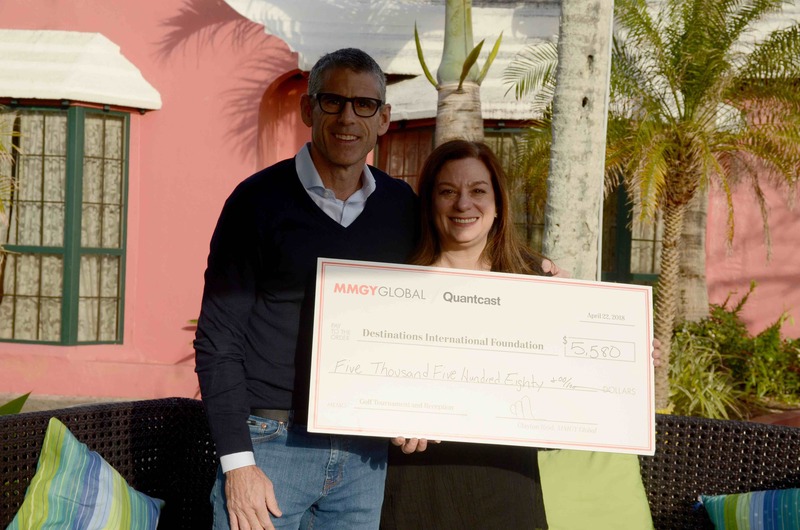 We value our partnerships with both Quantcast and Destinations International and look forward to future events together!